I am no longer updating this website. Wow - it's almost February! I am going to organize the Pre-K Valentine Exchange again this year. I have made some changes which I hope will simplify things (for me anyway...). I want to be able to copy and paste your information directly from your email to my list. Also, please send the email from the email address that you want to be contacted at, so I can simply "reply" to your email. Please send one email per teacher/class participating. I will email the list to everyone by February 4th. Please send out your Valentines by February 6th. This should have the Valentines arriving by February 14th. 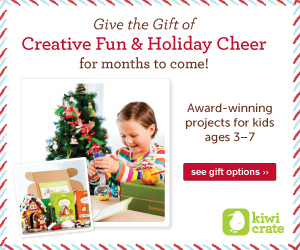 They should be "kid creations" and not include food or candy. You can choose whether to include a photo of your class, whether to have your students sign it, and all those details. And...Sorry that GrowinginPreK has been so quiet lately, but I have had complicated laptop issues that have prevented me from doing the things I want to. I can't wait to get access to all my photos, clipart, etc. back. Luckily it is stored in a "cloud" somewhere...but still not really available to me until I get my own computer back. I purchased one of those cute little Elf on Shelf sets to use in my classroom this year. Here's my take on it using Kate Hadfield's adorable art and keeping the concepts very simple for four and five-year-olds. I stayed away from writing letters to Santa and put emphasis on the elf looking for good classroom behavior. 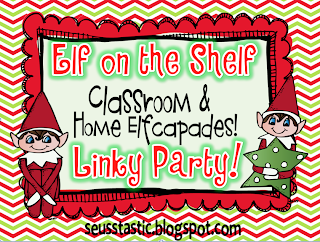 FEATURING GREAT IDEAS FOR ELF VISITS in an EARLY CHILDHOOD CLASSROOM. I will choose the best three tomorrow (Monday, December 3, 2012) night. So...get your creative minds working (quickly) or you can always purchase it for one dollar :). ELF ADVENTURES. There are two FREE elf printables there. I am very excited because I have purchased a license from Kate Hadfield Designs which allows me to offer her wonderful graphics in items for my Teachers Notebook Shop. I discovered Kate's beautiful art while searching for some great Nativity clipart. Let me just say that I have found it! This printable set is $2.00. The advent calendar can be printed for individual students to cut and paste each of the first 25 days in December. If you prefer to do the Advent Calendar as a class activity, you might want to print the numbers on a magnetic sheet and attach the blank calendar to a Dollar Store cookie sheet. practice putting numbers in order AND deciding whether they need a particular number or should return it to the bag. The Winner of the Lakeshore Software Giveaway is Barbara C.
Also, we have over 100 classes participating in the Gingerbread Man exchange. Tonight is the deadline to sign up.